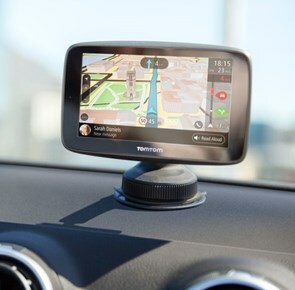 At TomTom (TOM2) our mission is to make technology so easy to use, that everyone can benefit from it. We created easy to use navigation devices, helping millions of people to get where they want to be. Today, we continue to simplify the complex, making technology more accessible for everyone. We have four customer facing business units: Consumer, Telematics, Automotive and Licensing. We make easy to use navigation devices, sport watches and action cameras for consumers. We enable businesses with vehicles to more easily manage and improve fleet efficiency whilst increasing overall business performance with our Telematics solutions. We also offer a world leading real-time map platform that is powering innovative location based services and helping to make automated driving a reality for the automotive industry. Where are the traffic jams and accidents at rush hour? How fast is traffic moving on the overall road network? TomTom real-time traffic creates a vivid picture of traffic conditions as they evolve, keeping drivers in control of their journeys. TomTom provides the most accurate, biggest coverage and the highest update frequency for real time traffic information in the world; helping governments & enterprises to manage traffic flows and plan travel routes efficiently.